Following Gibraltar’s 2-0 defeat away to Liechtenstein last night, here’s what Dan Griffin learned from their second game of the UEFA Nations League campaign, and the international break as a whole. Last night was arguably Gibraltar’s best performance in a competitive match since the Cyprus qualifier where they lost 2-1. Unfortunately for Gibraltar, the end result last night was also defeat, which will hurt more to the players when for good spells of the game they played better than their opponents. Unfortunately that is the nature of football at any level, and on another day, the game could have been much different. Anthony Hernandez 25-yard effort that hit the bar at 0-0 could have been a game-changer had it been a few centimetres lower, but ultimately you don’t always get the rub of the green in football and the team will have to move on from last night’s result. Six players aged 23 or under started for Gibraltar last night; a bigger nation or team than Gib playing so many younger players in a big game would receive plenty of plaudits so it is about time we gave Gib credit for doing this as well. Ultimately these are the players who Gibraltar will need for the next 10 to 15 years, and if we get them valuable experience in a competitive environment from a young age, then Gibraltar will reap the benefits in the longer-term. Finding the balance between youth and experience in a team is no doubt hard, but if you can ensure the young players are also experienced, then that problem minimises. Hopefully this is a trend we see continue in future matches. This is about more than just last night’s game, and the defence generally played okay vs Liechtenstein, but you could spot the gap left by Roy Chipolina’s absence from the defence. His presence improves those around him, both for Gibraltar and Lincoln, and arguably he will be harder to replace than Lee Casciaro when they eventually do retire. This is one of the challenges Julio Ribas will face for the national side, although in our opinion a potential long-term replacement is developing in the shape of Louie Annesley, Chipolina’s team-mate at Lincoln who is showing some of the same traits that has stood Roy so well for so many years. At 18, time is on Annesley’s side and if he develops as expected, he could be a fixture of Gibraltar’s defence for years to come. It has only been two games, but you could say that the new UEFA Nations League has already show it is more important to Gib than the other qualifying tournaments. Playing against similarly ranked nations will prove more important to Gib, who will have learnt more from the last four days than in most of their qualifiers in the last few years. Especially when you consider Gibraltar didn’t always get friendly matches scheduled, having an extra six competitive matches every two years guaranteed is bigger than people may realise. People understandably saw last night’s game as a chance to get points, and may feel disappointed especially given the good performance, but for Gibraltar this is a very long marathon, not a sprint. Only Kosovo, with a population of nearly two million and a diaspora spread around Europe, are newer to UEFA than “Team 54”, and people need to realise that it will take years for Gibraltar to fully integrate into this level of football. When you see teams like Liechtenstein, who despite being a similar size to Gibraltar have players in bigger leagues worldwide, as well as having players with 50+ caps and years of experience at this level, you begin to appreciate how Gib are “infants” at this level still. It will arguably take a generation to get to that level – a generation that is already underway. 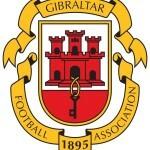 In 10 years time, Gibraltar should be at that level, hopefully also with players playing further abroad and not just in Gibraltar and the semi-professional English non-league system, which in truth while a different experience to local football, may not be the best development area for the diversity of international football.